The Fluorescent Yellow Neon Long Sleeve Top is a vibey statement Top that's help you channel your inner meme. Be a viral sensation. Want to grow your Twitch following? Wear this tee. Plus if you walk home at night, trust me, you ain't getting run over*High-quality, screen printing of the speedway Serge font tops off the product to be the ultimate head turner. Couple that up with some ridiculous Jewellery to make sure you killing it all day every day. 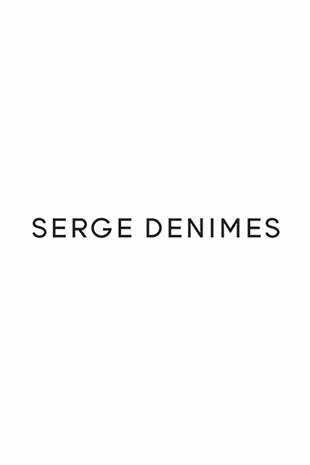 Serge DeNimes is a design-led brand, providing exclusive seasonal collections of urban apparel and accessories of premium quality. The founder, Oliver Proudlock has had two passions from a young age, fashion and art. They were the two constants in his upbringing, with his mother, a designer and photographer. For Mr Proudlock, Serge DeNimes is the expression of his creativity and his ambition.